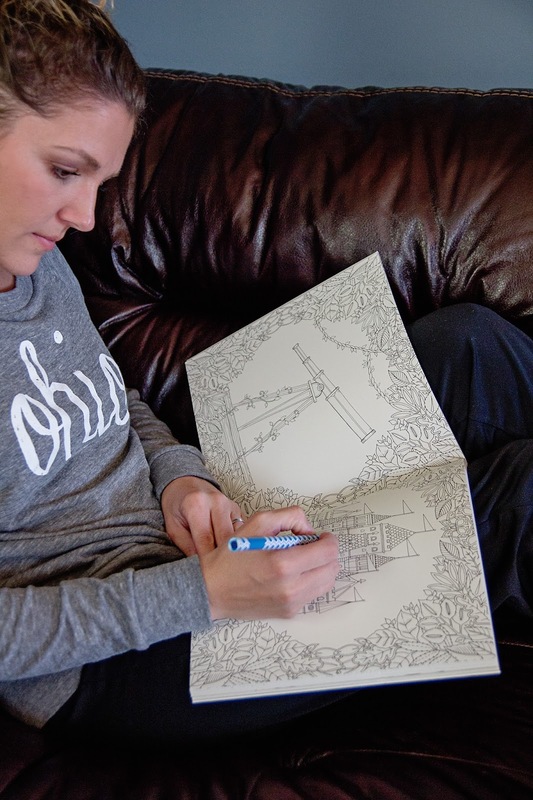 I'm sure you already know that adult coloring books are all the rage right now and I had to jump on this bandwagon. 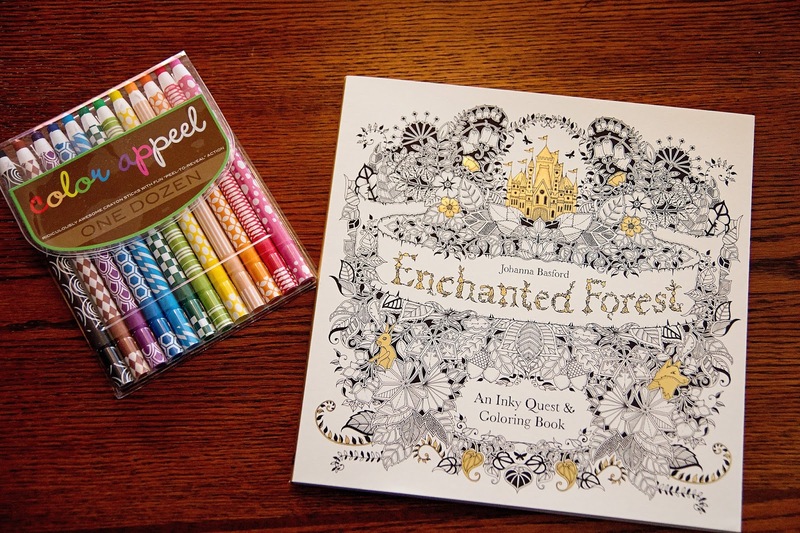 I received this beautiful coloring book from Paper Source and it is GORGEOUS! The pictures are so intricate and stunning! 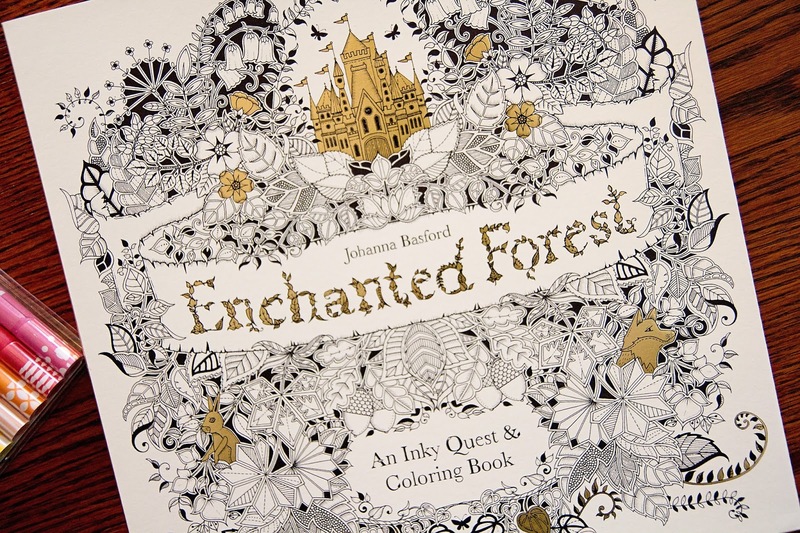 Enchanted Forest takes readers on an inky quest through flora and fauna drawings, inspired by the lush landscape surrounding Basford's home in rural Scotland. 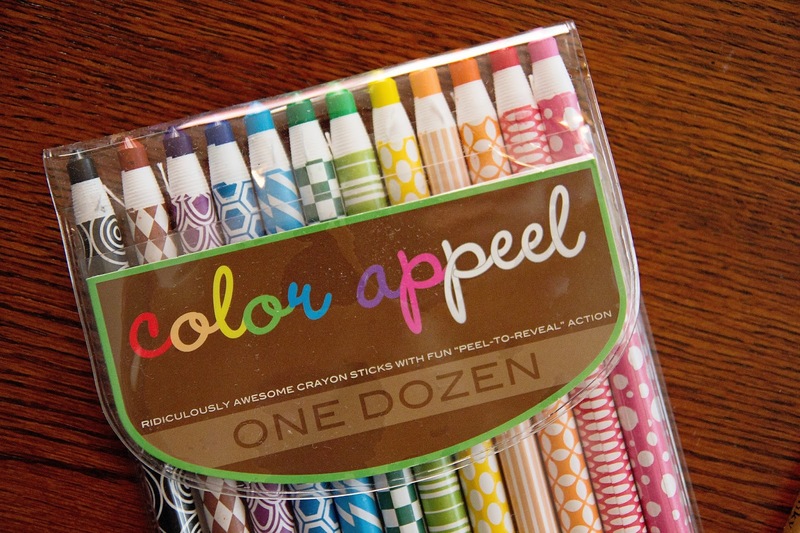 Grab your colored pencils or pens, sit back, relax and create. And that's exactly what we've done with this book. My girls and I have all taken turns coloring and we've had a wonderful time...even though it's not so relaxing when my 7 year old is sitting beside me and criticizes me every time I get outside the lines. HAHA! Thanks to my sweet friend Eleanor at Paper Source for sending me these amazing gifts!